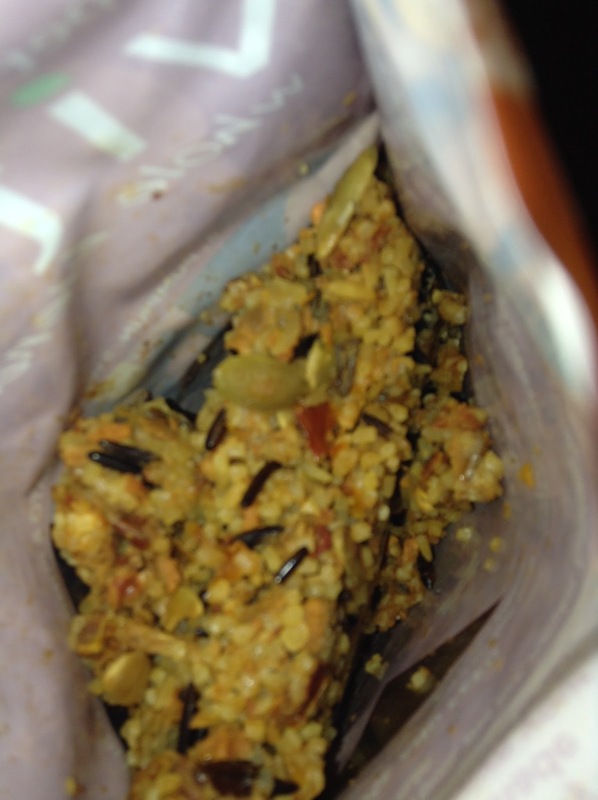 I know, you are probably wondering what exactly a dog food mix-in is. Many people just feed their dog the same old dry food every day, and never even think about whether or not their pet is getting the necessary nutrients. Freshpet is a company that specializes in fresh nutrition for dogs and cats. 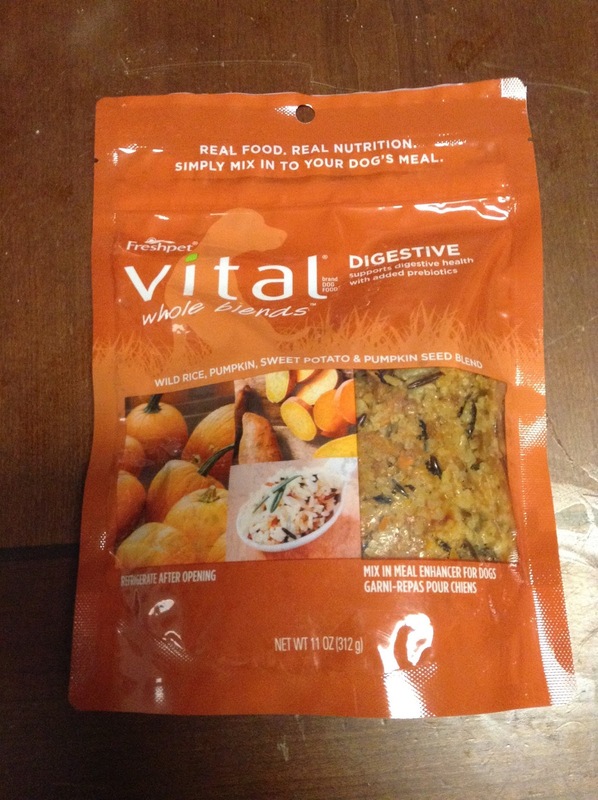 They recently released a new line of products called the Vital Whole Blends Mix-Ins for Dogs. These are simply real foods that give your furry friend a boost of superfoods to keep them healthy and happy! 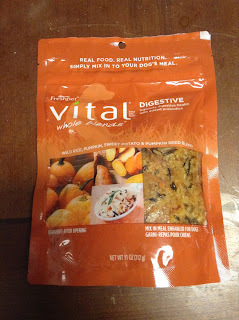 There are several varieties available; we received the Daily, Digestive, Immune, Senior, and Dental for our review. Glory was especially excited about this review opportunity, and was eager to try these mix-ins. As I mentioned, these are made with real, fresh foods. Rice, chickpeas, oats, papaya, carrots, cranberries, tomatoes, sweet potatoes, and many other human-grade ingredients go into these. You may be thinking, "My dog won't eat sweet potatoes and cranberries!" I wasn't sure about it either, but Glory has loved every bite of it! There is a recommended serving size for your dog's weight, and simply top or mix-in with their normal food. Glory prefers when I top it, so she doesn't have to dig through and eat the mix-in before moving onto the dry dog food! Because these are fresh you do need to refrigerate the package after opening, and use within 10 days. I love being able to give our dogs a special treat that is also giving them a boost of nutrients they don't normally get! At first she did not care for the Dental, which is a dry, crunchy mix, good for helping to clean their teeth. She actually picked around the pieces. Once we started using them as treats, she would follow you around hoping to get more! Now when the bag rattles, she is at your side waiting for her treat! Freshpet has several other product lines available for both dogs and cats, all made with real food for the tastiest and best nutrition for your pets. Be sure to check out their website to find where you can purchase their products near you! I think my dogs would like the Freshpet Select Tender Chicken with Crisp Carrots & Leafy Spinach Dog Food Recipe. At least, that's what I would like for them to have, but I'm sure they would like it. They are really not picky eaters at all. Thank you. Freshpet® Grain Free Beef, Egg & Sweet Potato Dog Food Recipe the most? My dog would like the tender chicken recipe. 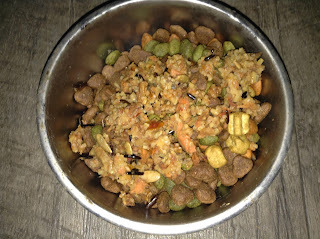 My dogs love the Freshpet® Select Chunky Chicken & Turkey with Vegetables & Brown Rice Dog Food Recipe. It smells good to me too, but I have not tried it. my dogs would gooble up any of these delish flavs! My dogs would love the Freshpet® Select Tender Chicken with Vegetables & Brown Rice Dog Food Recipe best.